Are you looking for a closer and more active chance to engage with the wilderness? 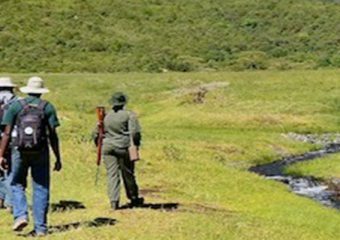 If so, then you will enjoy our active safari itineraries below which include trekking in beautiful landscapes and with animals, walking safaris in gational Parks where you will be accompanied with a tour guide and ranger. If you don’t want to be bored exploring animals inside a car, but you would rather go on a closer exploration to the wildlife, then these are the itineraries for you. Hike in the ggorongoro Conservation Area and its beautiful mountains. Formed three million years ago when a giant volcano erupted and collapsed, the floor of the ggorongoro crater covers an area of 260 km2 and is home to some of the largest concentrations of wildlife in the world. is from Africa. The observation of the most famous animals of the region is practically guaranteed in the main crater. The safari through the ggorongoro crater begins early in the morning, in safari vehicles equipped with retractable roofs. The descent into the crater is of picturesque beauty. You will follow the path through the lush forest, where many elephants and bufaloes walk. 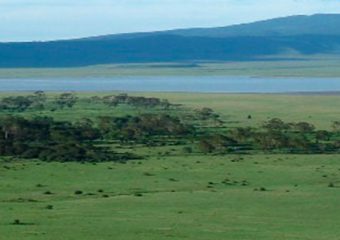 Once you reach the interior of the ggorongoro crater, you will be able to admire the incredible landscape around you, and your guide will take you through the grassy soil of the crater, the acacias, the shores of Lake Magadi and the surrounding swamps. In the middle of the Tanzanian savannah in the Great Rift Valley, south of Lake Natron, stands “”The Mountain of God””, the Ol Doinyo Lengai volcano. This imposing symmetrical cone, which has been naturally being shaped since less than 370,000 years ago, is a unique volcano in the world and the youngest stratovolcano in the whole region. The climb of the Lengai volcano takes between 5 and 7 hours depending on the pace. The climb is done at night to avoid the intense heat around this region of Africa. The difference in elevation is 1700m depending on the starting point and good physical condition is required because the path is fairly challenging and the slope is often steep. A walking safari in Arusha gational Park. Experience wildlife closer while accompanied by a guide and ranger. Arusha gational Park is the closest park to the city of Arusha – safari capital of northern Tanzania. This Park is often forgotten by safari enthusiasts looking for wildlife adventure in Arusha. Arusha gational Park is located at the foot of Mount Meru, this breathtaking park is home to Momella’s alkaline lakes, ggurdoto craters and spectacular waterfalls. You will be able to taste the joys of the safari on foot, feeling as close as possible to the wildlife. 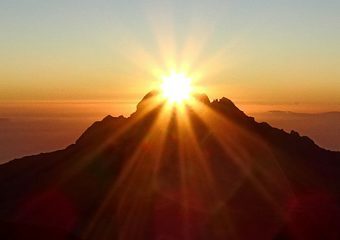 Despite its small size, Arusha gational Park ofers magniicent views of Mount Meru and Kilimanjaro. Its 137 square kilometers are home to more than 400 species of birds, resident or migratory, and a variety of wildlife: black and white colobus monkeys, blue monkeys, many olive baboons, but also antelopes, girafes, zebras , hyenas and leopards. It is said that the Arusha gational Park has the largest concentration of girafes in the world.